Where do I start? I would begin by introducing myself, however, I do believe Mr. Worm (Head Curator) did an excellent job of broadcasting my face and a description of my role at this years Sheffield Food Festival all over social media last week. So without going into introductions all over again, I’m Ellie, and although I have been working for Events Collective on a casual basis for the past 6 years, this will my 3rd year of being involved in Sheffield Food and Drink Festival. Although I’m Manchester born and bred, Sheffield is certainly my second home without a doubt, many thanks to amazing locals who have welcomed me with open arms and for some crazy reason make me want to come back time and time again. At this year’s festival I am proud to be more involved with the social media, event programming and traders, as in the past I have primarily been supervising the Eats, Treats and Beats festival village bar. 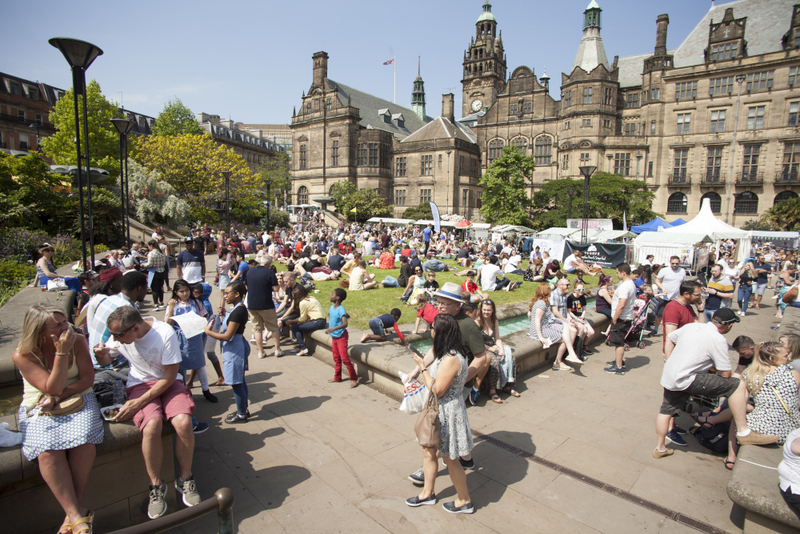 As a big lover of food, I can assure you that you will not be stuck for somewhere to go over the course of the Sheffield weekend, so much so, I won’t be surprised if you end up visiting us on more than one, if not everyday, just so you can experience the wide variety of food, drink and activities we have to offer. My must go recommendations are most definitely some of our classic traders The Ottomen, Sunshine Pizza and The Greedy Greek – all equally unique in variety and taste with plenty of options. As a vegetarian (although many of my work colleagues could argue that I’m the worst vegetarian ever – I would call it freegan), I’m always eager to find new and upcoming dining experiences including this years Falafel and Taters and Topaz. We can all agree that this growing trend of veganism is unquestionably educating us all to think differently about what we put in our bodies, however, I’m not saying that there’s anything wrong with indulging in a juicy BBQ pulled pork sandwich from our good friends at Smoke. Additionally, one aspect of the event that I am looking forward to at Sheffield Food Festival is the activities within the Green Village, as one thing I have noticed and find amazing about Sheffield is the never ending community of Sheffield locals who put in the effort in making this beautiful city a more sustainable and green area which I truly believe every city should be taking a leaf out of the book, and encourage educating the rest of the country on. 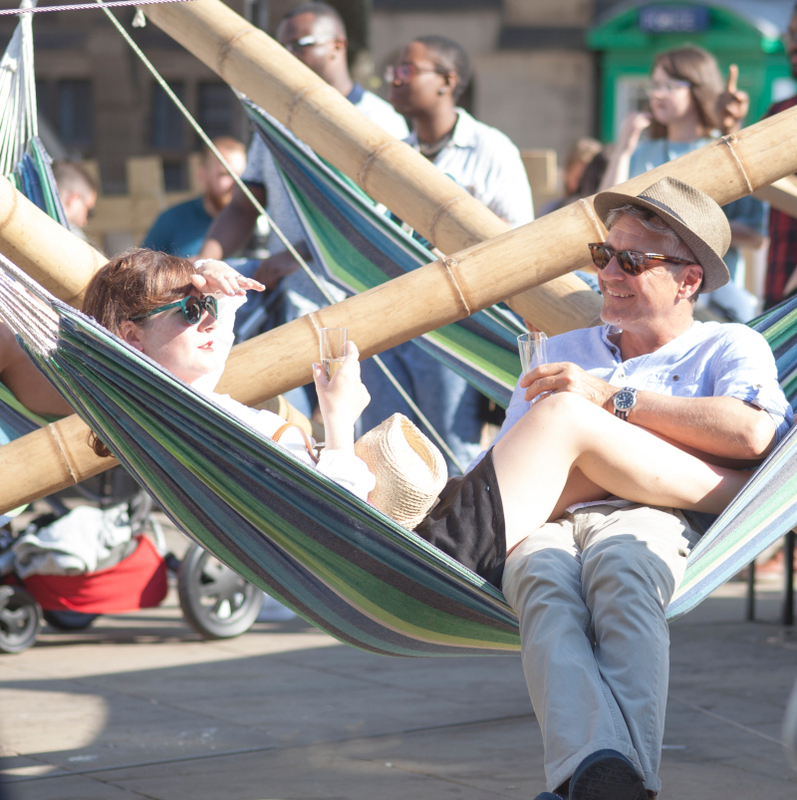 I will be looking forward to seeing all your smiling faces over the course of Bank Holiday (24th – 27th May), and I’m sure you will not be disappointed with the plethora of things to see, eat and visit. Published 2016 © Events Collective Limited. Registered office 28A Church lane, Marple, Stockport SK6 6DE Registered in England no. 06735044. TM trademarks are legally registered trademarks owned by Events Collective Ltd. Any unauthorised use is expressly prohibited.